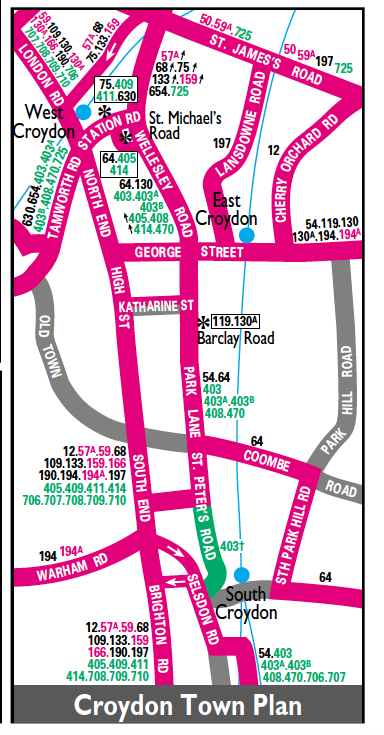 Extended from Streatham Garage to South Croydon Garage. Seasonally extended from Victoria to Hampstead Heath via Routes 2 - 74 - and 24. Withdrawn between Victoria and Hampstead Heath. Withdrawn between Victoria and Camden Town. Withdrawn between Victoria and Camden Town for good. RT replaced by RTL type. RTL type replaced by RTW. 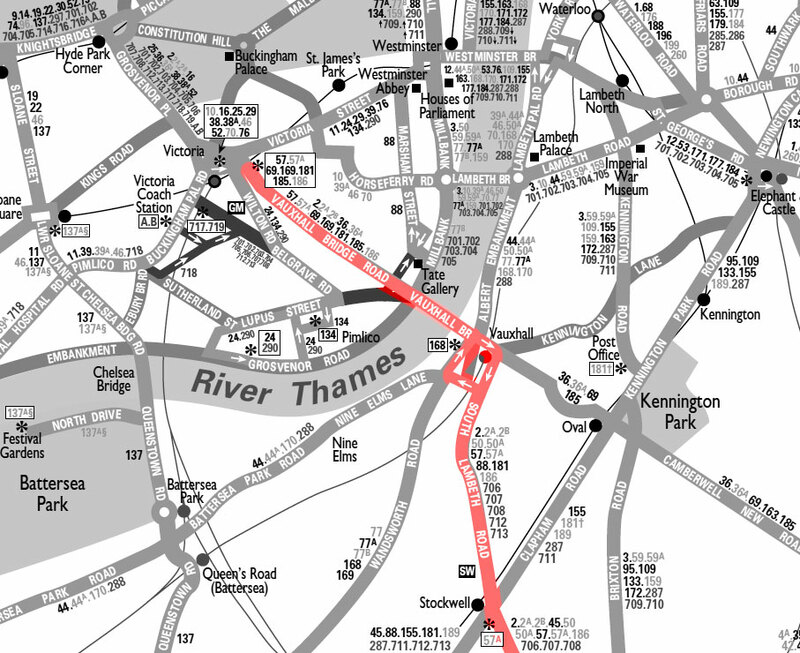 Withdrawm between Stockwell and Victoria but extended from TC Garage to Selsdon via 59 and 234. Streatham (AK) allocation withdrawn - BN reverts to RT type. Withdrawm between TC Garage and Selsdon. Withdrawm between Thornton Heath and Croydon Garage.